The airlift roots of Dover Air Force Base and the 1607th Air Transport Wing can be traced back to 1944 when, at Dover Army Air Field, the 4146th and the 125th Army Air Force Base Units were assigned the Douglas C-47 Skytrain, Lockheed C-60 Lodestar and the Beech C-45 Expediter. The prime mission of these units was rocket design and testing and pilot training respectively; therefore, there was that support requirement for the airlift of personnel and supplies. The base’s history, however, dates back to 17 December 1941, when the Federal Government leased the facility for military operations. At various times, the base was known as Dover Field, the Dover Municipal Airport, the Dover Airdrome, Dover Army Air Base and the Dover Sub-Base. 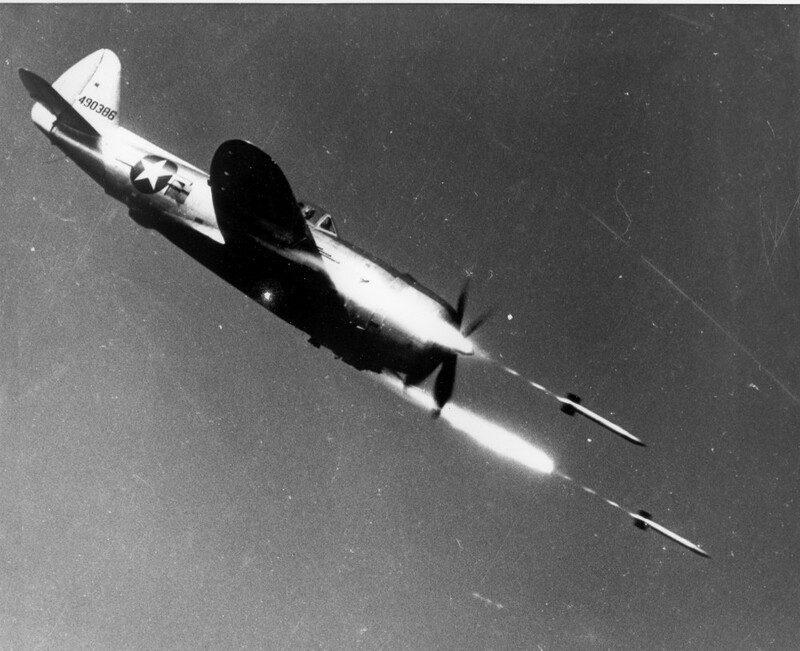 The facility was being used for such operations as anti-submarine warfare, P-47 Thunderbolt pilot training, and for the development of air launched rockets. The latter would play a decisive role in the closing phase of the war. On 1 February 1944, it was officially known as Dover Army Air Field. The base would remain active until September 1946 when it was placed in a caretaker status. On 1 February 1951, the base was reactivated and assigned under the jurisdiction of the Air Defense Command (ADC). At this time the 148th Fighter Interceptor Squadron (FIS) of the Pennsylvania Air National Guard (ANG) was recalled to active duty and assigned to the base. 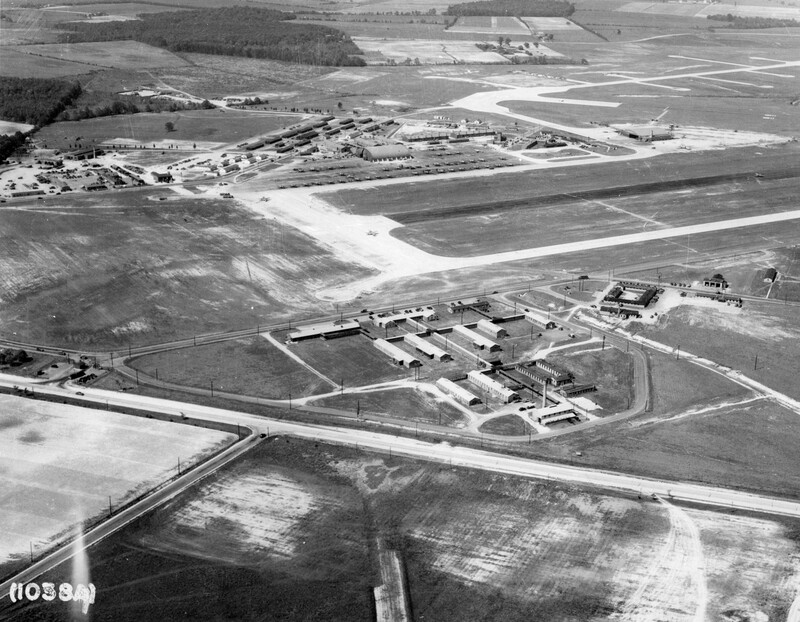 On 1 February 1952, the 80th Air Base Squadron was activated at Dover to provide housekeeping duties for the four tenant units that had arrived on the base by that date. They were the 148th Fighter Interceptor Squadron, the 1737th Ferrying Squadron, Detachment 1909-6 Airways and Communications Services and Detachment 4, 9th Weather Group. On 1 April 1952, the Military Air Transport Service (MATS) assumed command jurisdiction of Dover Air Force Base. Concurrent with this action, the 80th Air Base Squadron was relieved of assignment to ADC and assigned to MATS, with further assignment to the Atlantic Division (MATS), headquartered at Westover AFB, Massachusetts; which in 1958, was re-designated as the Eastern Transport Air Force (EASTAF) and moved to McGuire Air Force Base, New Jersey. In addition, congress appropriated $25 million to expand and transform Dover Air Force Base into a supplemental east coast port of embarkation for MATS and as a Foreign Clearing Base for ferrying flights headed to Europe, the Caribbean, and to the countries of the north. 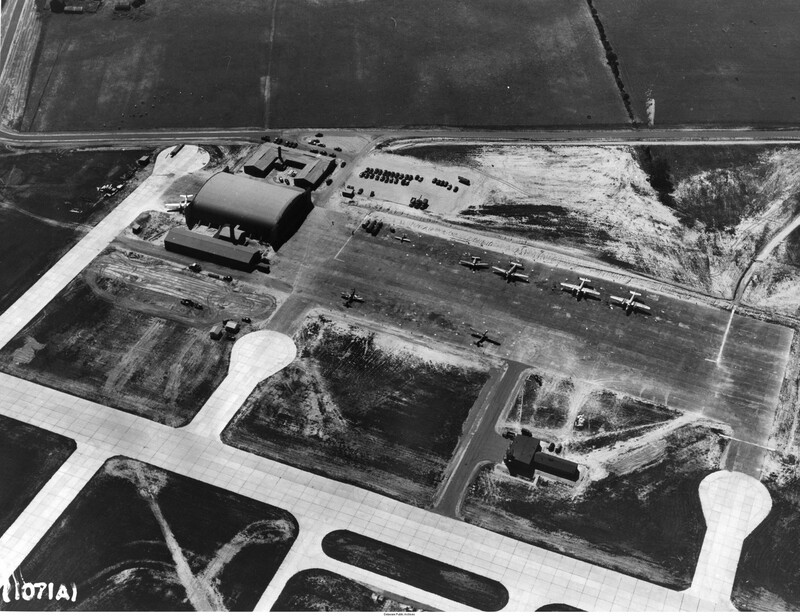 On 1 August 1953, the 80th Air Base Squadron was deactivated and reverted to the control of the Department of the Air Force. Concurrent with this action, four units of the Atlantic Division were organized at Dover, the 1607th Air Base Group (ABG), the 1607th Air Base Squadron, the 1607th Maintenance and Supply Squadron and the 1607th Medical Squadron. On 18 November 1953, the first two transport squadrons, the 1st Air Transport Squadron (ATS) and the 21st Air Transport Squadron (ATS), “Medium”, which flew the Douglas C-54G, were reconstituted, re-designated and assigned to the 1607th Air Base Group. This would be the nucleus of the 1607th Air Transport Wing (ATW). On December 22nd, 1953, the Secretary of the Air Force designated Dover Air Force Base as a permanent military installation. On 1 January 1954, the 1607th Air Transport Wing was designated, assigned to Atlantic Division MATS, and organized at Dover Air Force Base. 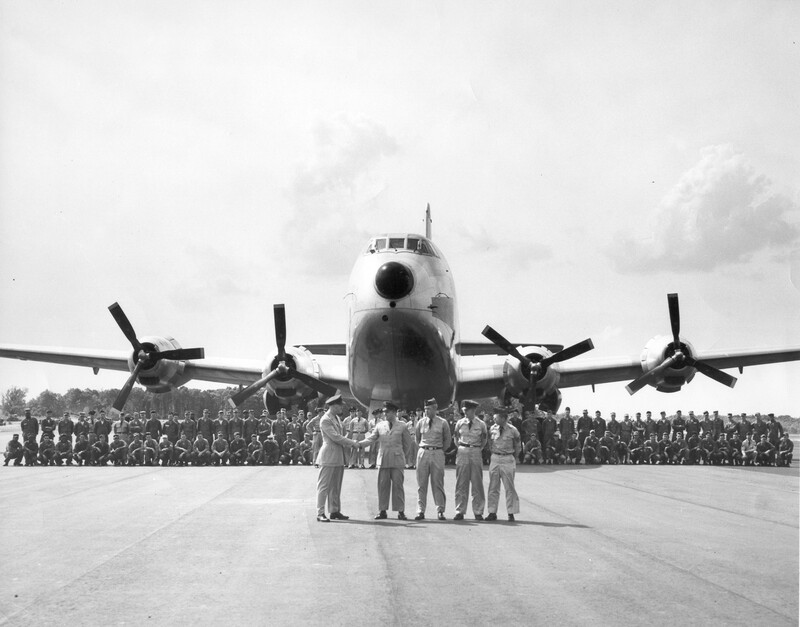 By the same orders the 1607th Air Transport Group (ATG) was designated and organized in preparation for the start of transport mission operations from the base. On 15 February 1954, the 39th, and the 45th Air Transport Squadrons, were reconstituted and assigned to the 1607th Air Transport Group. The 39th Air Transport Squadron was subsequently designated “Medium” and the 45th Air Transport Squadron was designated as a “Heavy” squadron, indicating the type of aircraft that was and would be assigned to these units. The initial transport mission of the newly activated Air Transport Group was accomplished when a C-54 operated by the 1st Air Transport Squadron (Medium) delivered a 9,000 pound radio mast to Harmon Field, Newfoundland. On 8 March 1954, the 40th Air Transport Squadron (Heavy) was reconstituted and assigned to the Wing. On 1 May 1954, the first Douglas C-124 Globemaster II arrived at Dover and on 12 June the 45th Air Transport Squadron flew the first C-124 “heavy” transport mission, airlifting five engines to Harmon Field, Newfoundland and a 12,000 pound spool of cable to Torbay, Newfoundland. 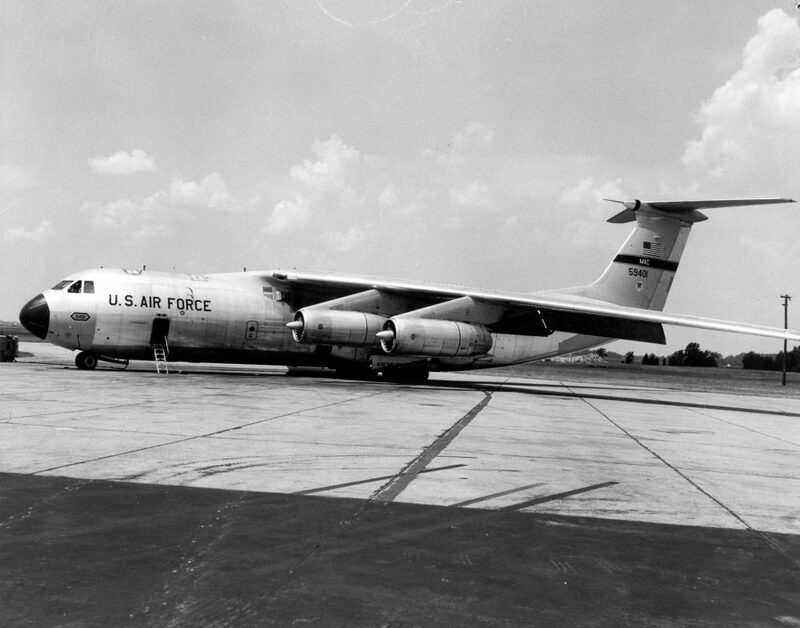 On 8 September 1954, the 1st and 21st Air Transport Squadrons where re-designated from “Medium” to “Heavy” transport units, respectively as the C-54s assigned to these units were replaced with the C-124. On 20 September 1954, the 1607th Air Transport Wing and its headquarters were re-designated the 1607th Air Transport Wing (Heavy). The same order added “Heavy” to the designation of the 1607th Air Transport Group. Throughout the years there were many changes to the organizations under the 1607th Air Transport Wing. 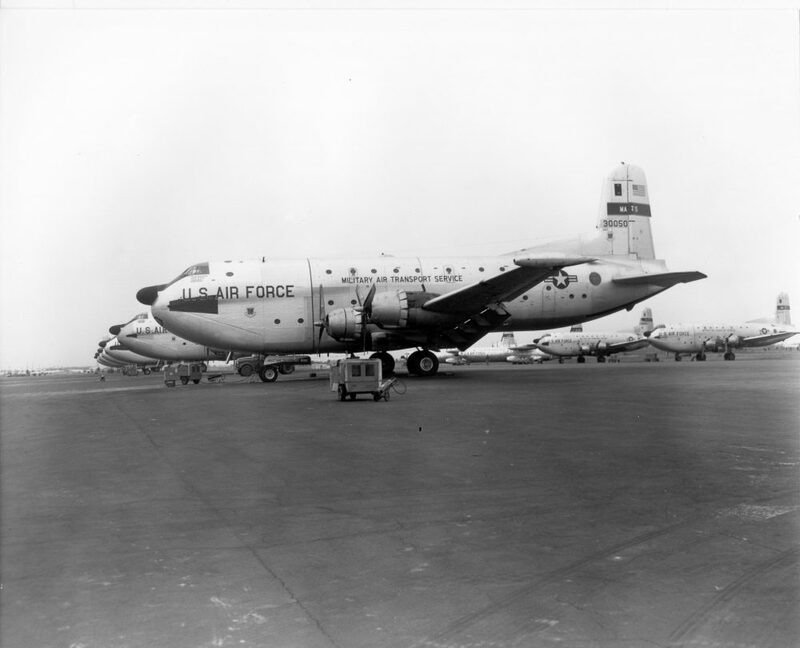 In 1955, C-124 units such as the 15th, the 20th and the 31st Air Transport Squadrons were relocated from Westover Air Force Base, Massachusetts. Along with the relocation of these units both the 21st and 45th Air Transport Squadrons were deactivated. The 40th was deactivated in December 1960 and its personnel were absorbed into the other units. With the arrival of the Douglas C-133 Cargomaster in 1957, the 39th Air Transport Squadron was re-designated a C-133 unit with the 1st Air Transport Squadron to follow in 1960. The most significant reorganization occurred on 18 January 1963 when the wing was reorganized under the MATS dual deputy concept of operations. This reorganization resulted in the discontinuance of the 1607th Air Transport Group (Heavy) and the 1607th Maintenance Group, transferring their responsibilities to a Deputy Commander for Operations (DCO), a Deputy Commander for Material (DCM) and the 1607th Air Base Group (ABG). In November 1964, the Secretary of Defense announced that eighty Department of Defense activities within the United States would be reduced or discontinued and that a troop carrier squadron would be transferred to Dover Air Force Base. Thus, in January of 1965, the 15th Air Transport Squadron would deactivate along with the activation of the 9th Troop Carrier Squadron. Both the 20th and the 31st Air Transport Squadrons followed suit and were re-designated as troop carrier squadrons. This designation would be temporary for the 20th, as it would revert back to its previous designation as a transport squadron. On 1 February 1965, MATS announced that Dover was selected as one of four bases where the Lockheed C-141 Starlifter would be tested under a program called “Lead the Force”. The first C-141 arrived at Dover Air Force Base on 18 August 1965 and was assigned to the 20th Air Transport Squadron. The mission responsibilities of the Wing were later expanded considerably. In the following years, the 1607th Air Transport Wing assumed the additional responsibility for logistical airlift operations including unit deployment, airdrop supply, air landed supply, scheduled and nonscheduled airlift, as well as joint airborne operations and training to include the capability for airdrop of personnel and cargo. As a unit of the Military Air Transport Service, the 1607th Air Transport Wing had its share of responsibilities in major joint mobility exercises and global operations conducted during the “cold war.” Examples include: Big Slam/Puerto Pine, March 1960, was an exercise that deployed 22,000 combat Army troops and 12,000 tons of gear from stateside bases to Ramey AFB and Roosevelt Roads Naval Air Station, Puerto Rico; Check Mate II, September 1961, involved the deployment of the 301st Airborne Division from Fort Campbell, Kentucky to bases in Europe; Southern Express, October 1962, a NATO exercise which involved airlifting troops from central Europe to northern Greece; Big Lift, October 1963, the deployment of a full Army division from Texas to Germany; The Cuban Missile Crisis, October 1962. In support of President John F. Kennedy’s decision to blockade Cuba, Dover Air Force Base was called upon to support the buildup of forces in the southeastern United States. The Wing and its aircrews worked at peak capacity airlifting troops and supplies from bases throughout the country to Florida and Guantanamo Bay. History shows that we were within 36 hours of a nuclear confrontation with the Soviet Union; the Congo Airlift, also known as Operation “New Tape,” was history’s longest lasting operational airlift, lasting 3 1/2 years, from 1960 to 1964; Operation Good Hope, September 1957, the airlift of arms support to Jordan. Forty vehicles equipped with 109 mm weapons were carried in five C-124s that flew in formation from Dhahran, Saudi Arabia to Amman, Jordan; Project ICE CUBE, May 1955, supported the construction of the Defense Early Warning Network “DEWLINE” in northern Canada; Polar Strike, January 1965, was conducted to evaluate U.S. STRICOM’s ability to reinforce the Alaskan Command. During the years what seemed impossible to many was considered routine day-to-day operations to the aircrews of the 1607th Air Transport Wing. In December 1958, a Dover AFB C-133 airlifted the heaviest load in the history of aviation when it carried 118,000 pounds of cargo to an altitude of 10,000 feet, breaking the former world record held by a Soviet TU-104 “Camel”; on February 7, 1960, a Dover C-124 with a 15th Air Transport Squadron aircrew flew a record breaking non-stop flight from Hickam AFB, Hawaii to Dover AFB in eighteen hours and forty minutes; a C-124 of the 1st Air Transport Squadron was assigned temporary duty to the 54th Air Rescue Squadron at Goose Bay, Labrador to aid in the rescue of 26 passengers and 8 crew members of a Norwegian vessel ice bound off the coast of Greenland; in March of 1956, 22,000 pounds of emergency polio equipment and supplies were airlifted to Buenos Aires to help combat a polio outbreak; the AMIGO Airlift, mercy missions to Santiago, Chile in May 1960, when an earthquake literally re-made parts of that country; in 1962, the four month round the world tour of John Glenn’s space capsule Friendship VII ; many re-supply missions from Thule Air Base, Greenland to the northern most weather outposts at Nord and Alert, both within just some 500 miles of the North Pole; the delivery of a telepectograph to the Ascension Islands in support of the space project FIRE. It was the first time such an instrument was airlifted as a complete unit; the airlift of supplies and emergency equipment to Alaska after an earthquake struck that state in March 1964; the presidential support mission of John F. Kennedy, in July 1963, when he spoke the famous words “Ich Bin Ein Berliner,” at the Berlin Wall. These are but a few of the approximate 75 significant events added to the normal day to day global airlift operations, of which the 1607th Air Transport Wing was involved. During its twelve-year history at Dover, the 1607th ATW accumulated 1,076,483 transport flying hours or an approximate equivalent distance of 235 million nautical miles. The 1607th Air Transport Wing lost sixty five crew members; pilots, navigators, flight engineers and loadmasters, while accomplishing these milestones. Be it remembered that on 28 November 1957, a C-124 crashed near Ankara, Turkey, killing three and injuring five crew members; within five months, on April the 13th, 1958, a C-133 crashed in the Ellendale State Forest, 26 miles south of Dover, killing all four crew members; a C-124, on 18 April 1960, crashed on take-off from Harmon Air Force Base, Newfoundland, killing all nine crew members; on May 27th, 1962, a C-133 was lost at sea shortly after take-off from Dover Air Force Base on a routine overseas mission. A German freighter 55 miles east of Ocean City, Maryland picked up a deflated life raft and nose gear assembly, but none of the six-man crew was found. On 23 September 1963, a C-133, also with a ten man crew was lost at sea shortly after take-off from Dover Air Force Base on a routine overseas mission; on May 9th, 1964, a C-124 crashed in a blinding hail and thunderstorm over Oklahoma, killing all six crew members. On November the 7th, 1964, a C-133 crashed on take-off from Goose Bay, Labrador, killing all seven crew members aboard; a C-133 crashed on take-off from Wake Island, on January 10th, 1965, killing all six crew members aboard; a C-124 crashed into Mount Helmos, 50 miles west of Athens, Greece on January 22nd, 1965. Eight crew members were killed; March the 25th, 1965, a C-124 on a training mission, crashed near Cordova, Maryland, killing all six crew members on board. 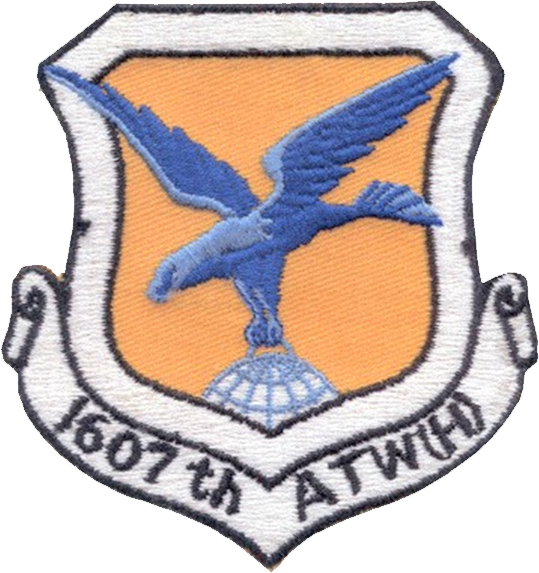 The 1607th Air Transport Wing (Heavy) was assigned to the Military Air Transport Service (MATS) throughout its history and, on 1 January 1966, the 1607th was discontinued and the 436th Military Airlift Wing was activated when the Military Air Transport Service (MATS) was re-designated the Military Airlift Command (MAC). The 1st, 20th, and 39th Air Transport Squadrons “Heavy” and the 9th and 31st Troop Carrier Squadrons “Heavy” were all re-designated as Military Airlift Squadrons. There were 70 heavy transport aircraft assigned, on 1 January 1966, with over 8,000 military and civilian personnel. 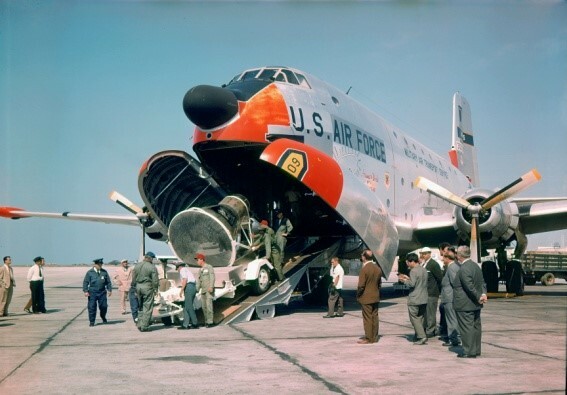 Its C-124 Globemasters, C-133 Cargomasters and the newly acquired C-141 Starlifters maintained a D-Day state of readiness to airlift men and material for the United States and allied military forces whenever and wherever needed. In addition, the Wing’s mercy airlifts to nations suffering natural disasters, and its United Nations airlift effort in the Congo and other areas of the world, bolstered US national policy in the cold war. The AMC Museum’s archives and the 436th Airlift Wing’s History Office were indispensable in compiling this flying history of the 1607th Air Transport Wing. I was assigned at Dover AFB, and the 1607 Squadron from December 1957 till April 1961. Lived in a house Trailer at Kings Cliffe Trailer Park, owned by retired Base Commander Col. Anderson. We were young, I 21 and wife 20. Wh had one child born at Dover AFB hospital in April 1958. It was a great experience for us. Our Neighbor Charles Fluehardy was a crew chief on an F89in the ADC command there also. A lot of great friends.